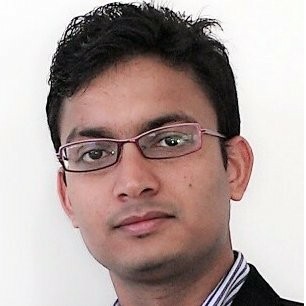 Abhijit Khan leads the Non Functional Testing and Engineering practice at Cognizant Australia. Abhijit is in the industry for more than 14 years and have worked previously at Kloud Solution, PricewaterhouseCoopers (PwC) and TCS. He has established the testing practice across many of these organisation and transformed them to a matured function. He is a great supporter of adopting newer technologies across the Non-Functional engineering space and excited about the digital technologies that has evolved over last decade . He believes digitisation of information has affected us in a very positive way and non-functional validation requires a lot of innovation to provide even greater assurance in this dynamic time. He is also a firm believer in a pro-active approach to non-functional assurance where the systems are performant and secured by design rather than validating systems for Performance and Security flaws. He likes to blog, travel and read in his spare time. He lives in Melbourne with his wife and daughter. And btw, he is not a GOT fan. Faster delivery and unprecedented changes has brought a different challenge to maintain 'Quality' of systems. The trio of automation - Process, Testing and Infrastructure automation, when combined, creates a powerful ecosystem for driving Quality into the systems.